There is something about seeing a project from start to finish. In extended care, during break camps, and in our summer camps, this is the driving force that builds a sense of community and family: we cook together. My love of cooking started when I was quite young. In my childhood home, I cooked a meal every week. I loved it, and my parents thought it was important. I chose the meal, shopped for the ingredients, and made everything myself for my family to enjoy together around the table. It was satisfying to see the project go from start to finish. Plus, I loved learning what ingredients go into what I’d already been eating, and seeing how complex or how simple some recipes were. Cooking has always brought me joy. I definitely see that same joy within Detroit Waldorf School. Every day, early childhood classrooms prepare snacks together. In extended care, we eat together and during camp, we cook, go into the gym to play, then come back to check on what we are creating. It’s incredibly satisfying, but also community-building, to cook together. There is nothing more communal than being in a kitchen. In my role as Extended Care and Camp Coordinator, my biggest goal is to create an environment where children feel like they are a small family. These programs have existed for longer than I’ve been at the school, mostly for the ease of parents’ schedules. But beyond that, extended care and camps are like their own community, driven by an open playfulness that welcomes all who participate. Friendships grow beyond the grades. Classes mesh and children see new people, make new friend groups, play new games. All the programs I coordinate are a way to experience Detroit Waldorf School in a different way. 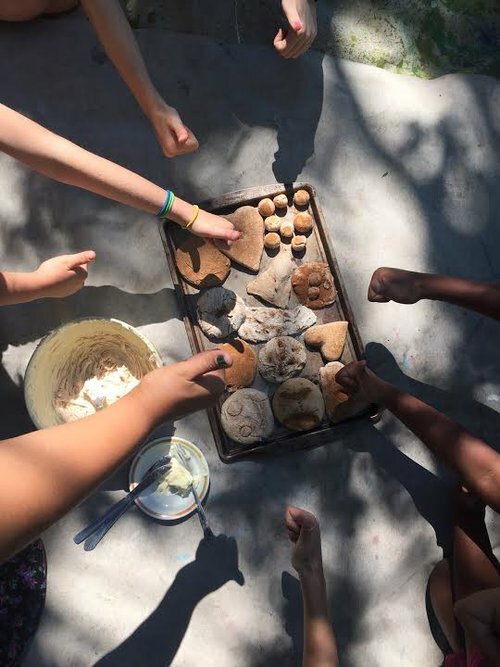 Just like assemblies, plays and festivals, extended care, break camps and summer camp are ways to expand our connections to the school - and invite people to sample the beauty of Waldorf Education. As we finalize the details for 2019 Detroit Waldorf Summer Camps, I am reminded of how these simple week-long programs take place in a familiar space for our students, their school, but during a time when school is not in session. There is a mysticism around being in school with the freedom to play all day, cook in the kitchen, almost take a little vacation at school. This year, we are theming two weeks at a time around the same focus, keeping student-interest-driven inspiration for the themes. Themes will include art (two- and three-dimensional art like painting and crafting), games (team games, imagination games, water games), performance art (theater and music) and gardening and cooking sprinkled throughout the summer. With every camp, we will create a group snack daily, to ensure time spent in the kitchen together, creating and nourishing one another. My top priority in all the programs I coordinate is that the children are comfortable. I want them to feel like they have a part in what happens, that they see how their contributions help the whole group. Every day in extended care, children create new games. It could be hand hockey or bouncing a ball into a goal in a new way or painting with chalk dust. The children are so creative and when given space and freedom to explore, they flourish in their creativity. I have to, of course, give credit to the amazing extended care staff that are with the children every day! They truly make it the free and comfortable space it has become, and I am grateful to work with such a wonderful team. 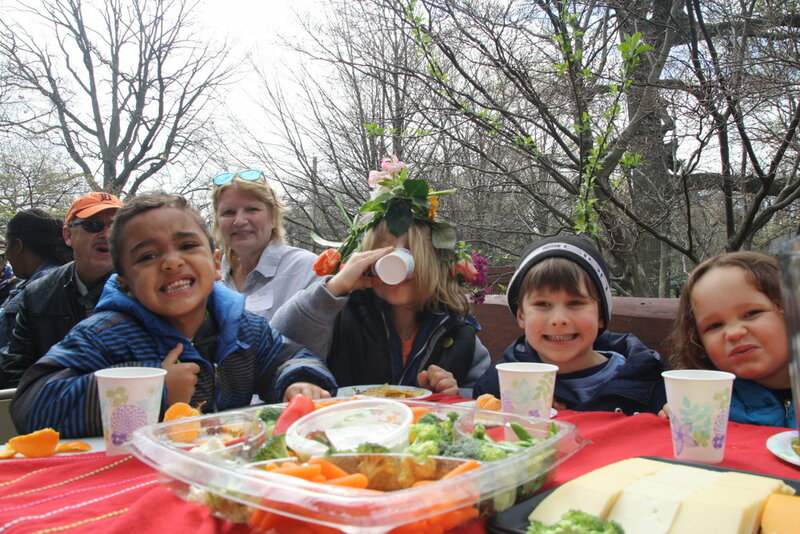 At Detroit Waldorf School, we are all connected in our love of childhood. I hope that our summer camps can grow with help from alumni, who love the school and want to return as counselors, to share their love of Waldorf. This summer, I hope our camps will not only nourish and nurture our students, but also welcome new families and students into the Detroit Waldorf School community. Focused on inclusivity and friendship - I treat everyone like we are friends! - our programs are a good introduction to what this school is all about. Everyone has an understanding and a mutual respect that goes a long way to build trust and overall enjoyment. 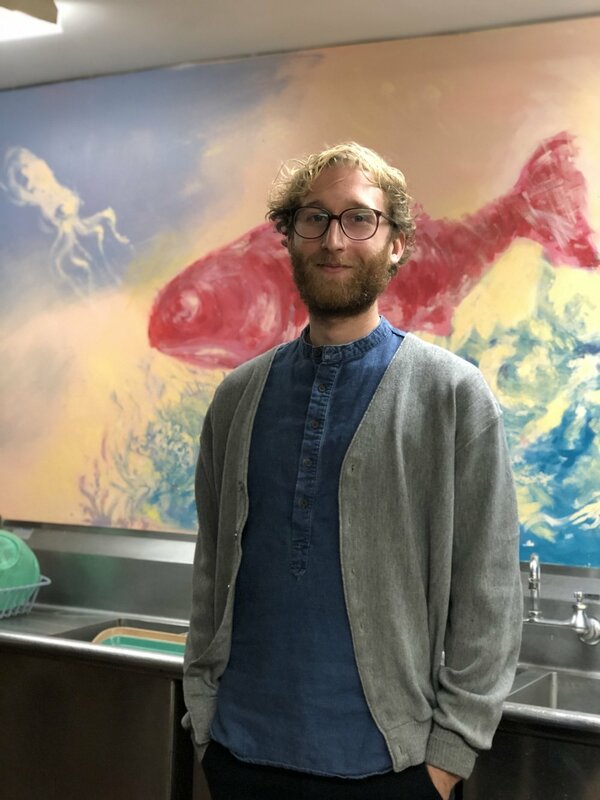 Ryan Gumbleton is Extended Care, Break Camp & After School Program Coordinator, Detroit Waldorf School. Ryan grew up in Hamtramck and Ferndale, attending Ferndale Public Schools, University of Detroit Jesuit High School and Wayne State University. He studied sculpture and photography in college, while working at summer camps as a counselor and director. Ryan came to Detroit Waldorf School in the fall of 2017.